Simply put, it’s the ultimate plugin to easily populate your JobRoller site with real jobs from the most popular job sites and job aggregators. 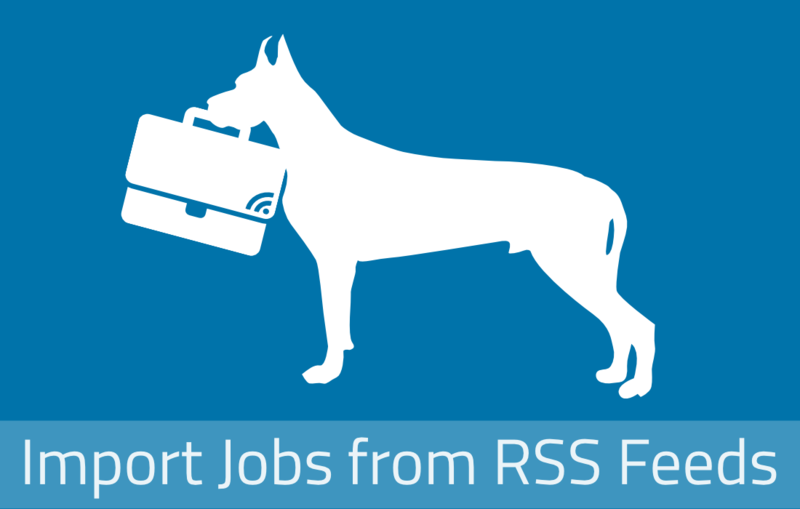 This handy plugin fetches jobs from RSS feeds and imports them to your jobs database. 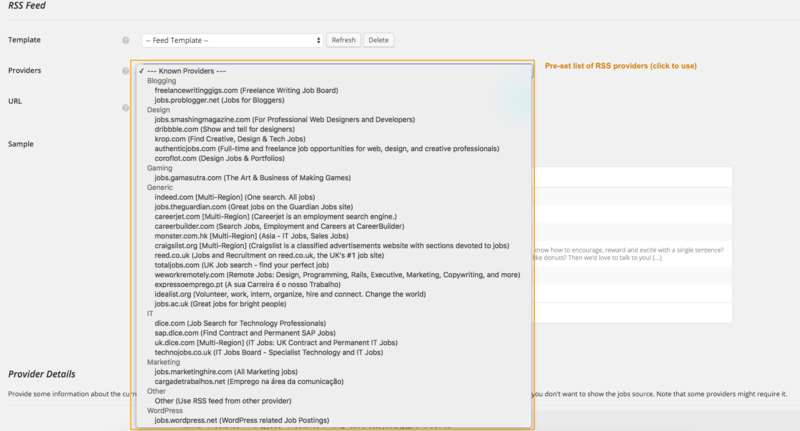 Pick your favorite big job site, look for the jobs RSS feed, paste it directly to Go Fetch Jobs and instantly get fresh jobs in your database! It also supports scheduled automatic imports so you can put your job site in full auto-pilot! Please read more below. For more information and feature details please visit the official site. Besides the usual title and description, Go Fetch Jobs can also pull company logos (*), job companies and job locations for selected providers. You can also set job categories and job types and custom field values for the jobs being imported. You can even set it to feature the jobs being imported. There’s plenty of options to control and identify your job imports and you can even save your import settings as templates. These templates, beside simplifying future imports, can be assigned to automatic imports, available through schedules. You can create unlimited schedules to automatically and regularly import jobs. 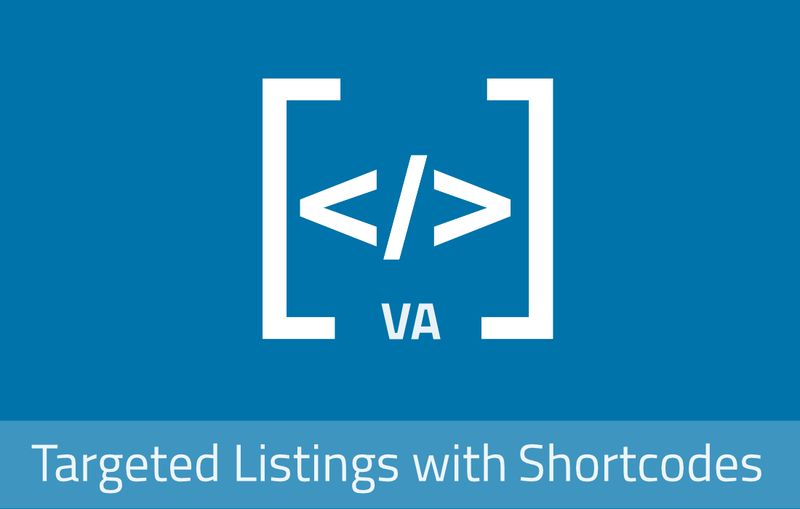 Just specify an existing template, the schedule recurrence and watch your site being refreshed with new jobs on a regular basis. (*) If you want to display company logos on job listings as in the demo site, and add a ton of new features to your JobRoller site check out my other plugin named FXtender Pro. 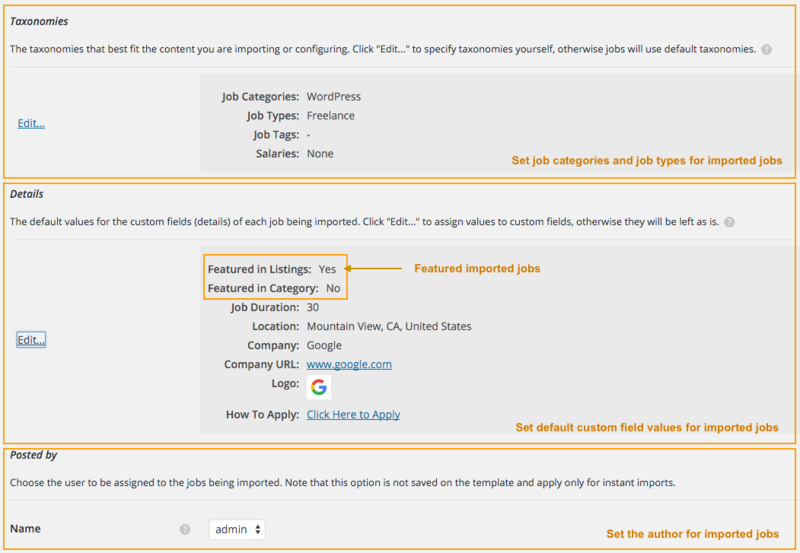 Each imported job seamless integrates with your JobRoller site but since these jobs don’t provide an explicit ‘How to Apply’ field the ‘Apply Online’ link will be hidden. Instead, under the ‘How to Apply’ title, your customers will see a (customizable) ‘Click Here To Apply’, link, that links directly to the external job. Go Fetch Jobs comes packed with ready to use RSS feeds providers grouped in categories like: Design, Blogging, Gaming, IT, Marketing, etc… Providers include The Guardian, Smashing Magazine, Careerjet, and many others. Just click the feed you want to use! For more information and feature details please visit the official site. Why are jobs not showing full job descriptions ? Some sites don’t provide full job descriptions on their RSS feeds. This is usually intended to have users still visit the original site to read the full description. 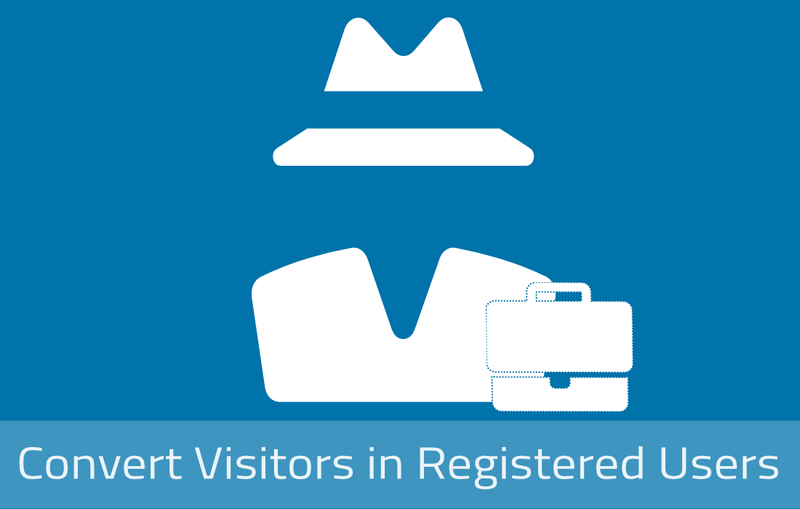 Why don’t all jobs show a logo after importing? Logos are not available in all RSS feeds and unfortunately, RSS feeds that provide them are still the exception. How do I import jobs so that they are all automatically assigned to the matching category? To have imported jobs assigned to their most relevant categories/types you need to enable *Smart Assign* option. This option will scan each imported job looking for terms that match your existing categories/types. Upload and activate the Plugin from the Plugins page. A Go Fetch Jobs menu item will be available on your admin sidebar. Please use the dedicated forum. Fatal error: Call to a member function get() on a non-object in WordPress 4.4. Sebet always helping and response time is awesome! This plugin has been featured on the Advanced WordPress group on Facebook, and is a very well designed and useful upgrade. If you run a jobboard, this modest expenditure will pay for itself over and over and over. Two thumbs up!!! Excellent plugin. My recommendation is to use it not just with the most popular feeds but with the HR consultants firms feeds. You must make your research but there are plenty out there. I still don’t have an official schedule for the next release. Are you missing any feature from the current version? Hi, is the price for using on one site or can I add Go Fetch Jobs to many, please advise, thanks. @John, at this point, you can use it on any site. Thanks for your interest. I just purchased the plugin for jobroller. I installed it and it requested that I download WP jobs manager. I now look at my menu and it says that the plugin is for WP jobs manager as opposed to jobroller. Is this the way it is supposed to be? Also, to activate it I seem to require a license key which has not been sent to me and I am not able to request to be sent to my email. @galinaarr, first of all, thank you for your purchase. It seems like you’ve downloaded the free version for WPJM. Please deactivate that version and then download the plugin you’ve purchased, from your AppThemes account. You won’t need any license key to activate it. Pre-purchase question: If I was only interested in importing jobs from Careerjet, should I get this plugin or the Careerjet Publisher plugin? It might seem obvious, but I noticed Careerjet Publisher has never been updated since its release almost 5 years ago. Any thoughts? Do they do the same thing? @islandjobs, it really depends on how you want to have external jobs integrated on your site and if you want to me limited to a single provider. 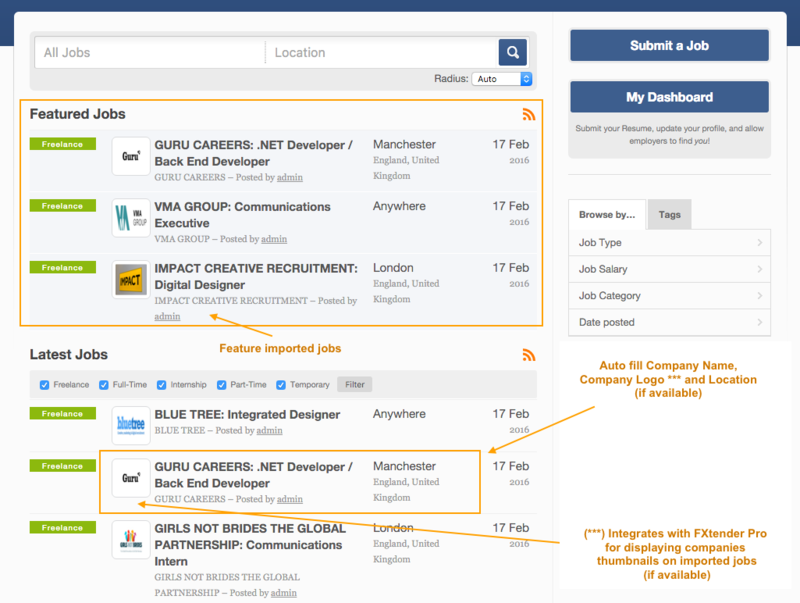 While the Careerjet plugin is able to display basic jobs meta like the job title, type and categories, jobs pulled from their service are clearly displayed as external and will instantly redirect the users to the respective external job page. 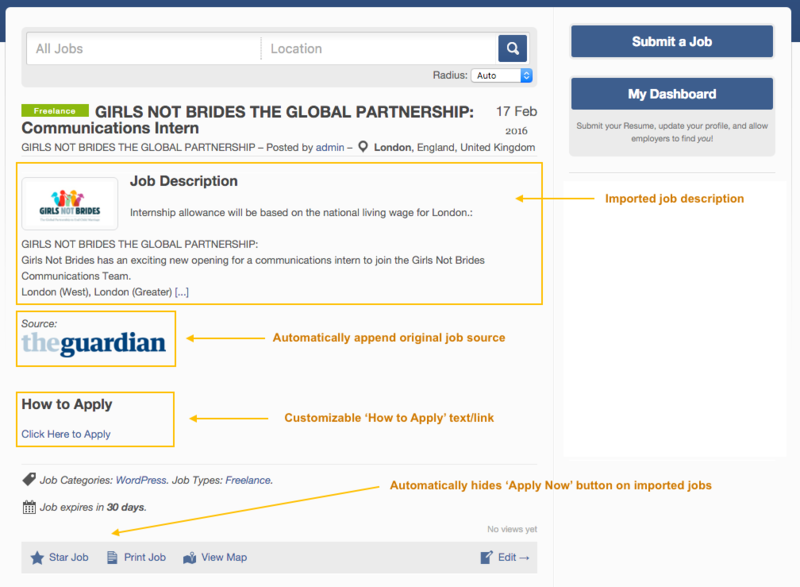 With ‘Go Fetch Jobs’, all imported jobs are seamlessly integrated in your site as “regular” jobs, and they have their own job detail page on your site. Of course, you’re not limited to Careerjet, since you’ll have a long list of providers to choose from. If you need any additional info you can visit the official site or try the demo. Great thanks! That was the answer I was looking for. I have recently purchased Go Fetch and it’s working great except for the listing image (it’s importing the company logo ok). I am using Jobroller with Flatrtoller child theme. Sorry just read previous post regarding using support forum for post sale questions. Will post in there instead. Hi is there anyway for this to work with classipress for importing ads that are not jobs ? is this something that is possible ? @mcstimpson, unfortunately no. ‘Go Fetch Jobs’ was built for JobRoller only. It will not work with other theme. Which backfill providers can I use this plugin for? Do you have a list somewhere? Will it work with ziprecruiter, jobs2careers, etc? Do you offer support or a refund if it doesn’t work? @manilaboy, you can see the list of providers on the demo site. I only saw Indeed and LinkedIn. So it won’t work with the aggregators I mentioned above? 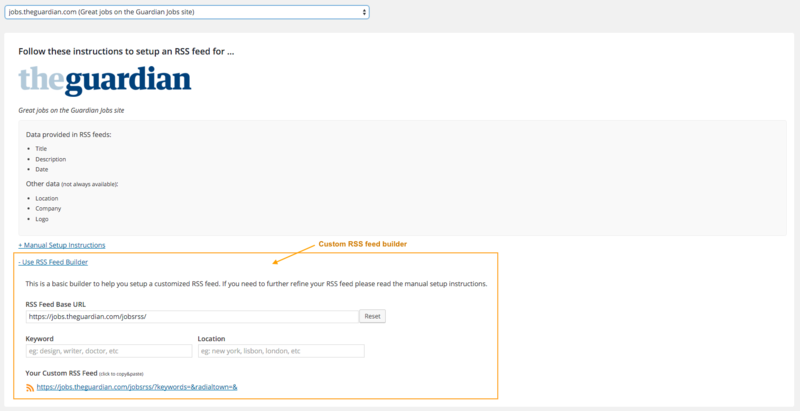 The plugin will load jobs from any valid XML feed. 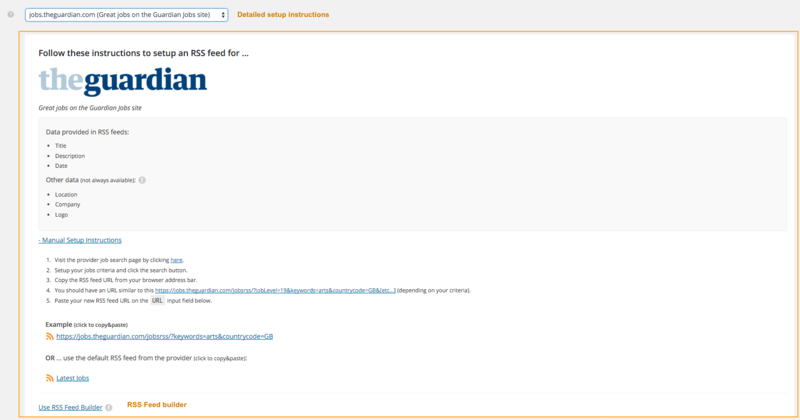 If any of the aggregators you’ve mentioned provide an RSS feed it should work. You can test the RSS feeds on the demo site.